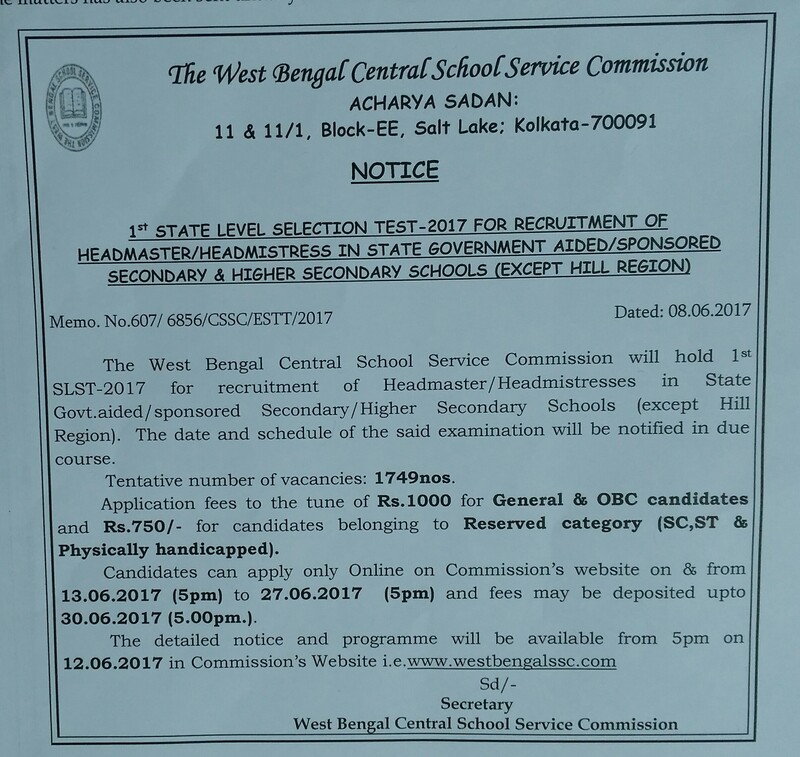 WB Central School Service Commission Recruitment 2017 Online Application Form for total 1749 Headmaster/ Headmistress vacancies advertisement has been publish today. 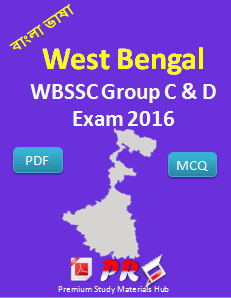 WB Central School Service Commission Recruitment 2017 Advertisement Notification Apply Online www.westbengalssc.com for the post of Headmaster/ Headmistress this is the Latest Job & Careers opportunities in West Bengal Central School Service Commission. West Bengal Central School Service Commission has recently publish an advertisement notification for Headmaster/ Headmistress Posts vacancies jobs opening for June 2017. Total vacancies in West Bengal Central School Service Commission (WB Central School Service Commission) Headmaster/ Headmistress post details are given below. Minimum educational qualification for WB Central School Service Commission Recruitment 2017 for the Headmaster/ Headmistress posts is given below. Pay Scale | Salary Please Check the Official Notification. Starting Date to Apply Online Application Form: 13-06-2017. Last Date for Submission of Online Application: 17-07-2017. Application fee of Rs.1000/- for General Candidates & Rs.700/- for SC/ST is to be paid through online. WB Central School Service Commission Headmaster/ Headmistress Exam Questions Answers. This mock test having question each, with four choices. On each click on answers system will tell you where the answers is correct or incorrect. There many online practice set of Sarkari Naukri Exam Question answers quiz.